The Trail brought you the Kelpies and with them thousands of admiring locals and visitors. Now we can announce that we will be welcoming the magnificent Sea Hames to Kirkcudbright on 27th July ….Keep checking our facebook page for more info! Sea Hames is inspired by ‘The Festival of the Horse and Boys’ Ploughing Match’ and explores mythology and iconography of horse, plough and the sea. 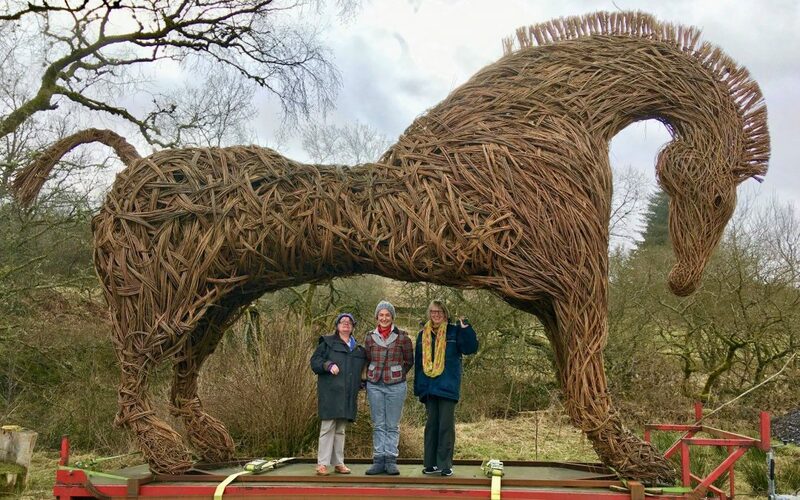 Central to this will the fabulous willow horse but we also intend to include costume and performance around it. Come and visit us!